On Wednesday, we presented our Neighborhood Age-Friendly Evaluation Projects (NAPs) in class. This project was very meaningful for me because it allowed me learn what it really means for a neighborhood to be age-friendly and it really changed my perspective on certain neighborhoods. Little Italy, for instance, has always been one of my favorite places in San Diego and I always thought it would be cool to live there. But after our site visit, I realized that it is not very age-friendly. There were so many aspects of Little Italy that I had not noticed before. For example, the fact that there isn’t a single grocery store in the neighborhood really surprised me. One would have to go to the weekly farmers market or go out of Little Italy to do grocery shopping and that requires a lot of planning. There also isn’t a reliable transportation system within the neighborhood which covers a big area. I learned a lot about the history and age-friendliness of other neighborhoods in San Diego as well that day. Towards the end of class, we packed goodie bags with socks, lotions, lip balms, shampoos and soap for the seniors at Gary and Mary West Senior Wellness Center. All of us worked efficiently to pack over a hundred goodie bags. ​On Saturday, we had the Gary and Mary West Center Senior Prom. It was such a great event! The atmosphere was very cheerful. We got there early to set up. I helped lay out the food and drinks and set the tables. We only had one hour for the prom so we were all very busy with different activities. When the dance began, I helped serve food and drinks. The event had a really good turnout and I think the seniors enjoyed a lot. One could tell that they really appreciated the prizes we were giving them. I remember seeing a woman just hugging the blanket she won for like fifteen seconds. Her face had lit up when she received the prize. Seeing her smile and joy really warmed my heart. I am really glad we gave out prizes and goodies that were so useful. One of the best moments of the dance was when the prom king and queen were crowned. I loved watching them dance together. They were so adorable. The seniors were really enthusiastic about the photo booth and games too. Overall, I think the dance was a big success and I am glad I could be a part of it. It was a very rewarding experience. I hope there are many more events like this for the seniors at Gary and Mary West Senior Center. This week, we had more presentations. My group did a presentation on the book “This Chair Rocks” by Ashton Applewhite. The book was really eye-opening because I had never really thought about ageism and how prevalent it is in society. I realized how a lot of our actions are motivated by the desire to not appear “old” and the book made me think about my own attitude towards aging. The author emphasized that we are always aging and she emphasized that we should not be fearful of it because it is a natural process that is happening every second. I think the author did a wonderful job of debunking some of the myths surrounding aging and I would recommend this book to anyone as it raises awareness about ageist behavior. It is important to view aging positively. We also had our second round of oral history presentations, which was my favorite part of class. Ever memoir, from Wayne’s dream catchers to Victoria’s cookbook, was so touching. I loved learning about my classmates’ EPs. Their stories were so inspiring. The memoir presentations have made me realize that there are so many incredible lessons we can learn from seniors because everyone has lived such unique lives with different kinds of experiences. When I was interviewing my grandmother, I was amazed by how much I did not know about her. When I am back in India, I hope to continue with the memoir project because I truly enjoyed doing it and it is such a meaningful project. Last week, I had my oral history presentation in class. My extraordinary person (EP) was my grandmother. I truly enjoyed doing this project because I learned a lot about my grandmother. 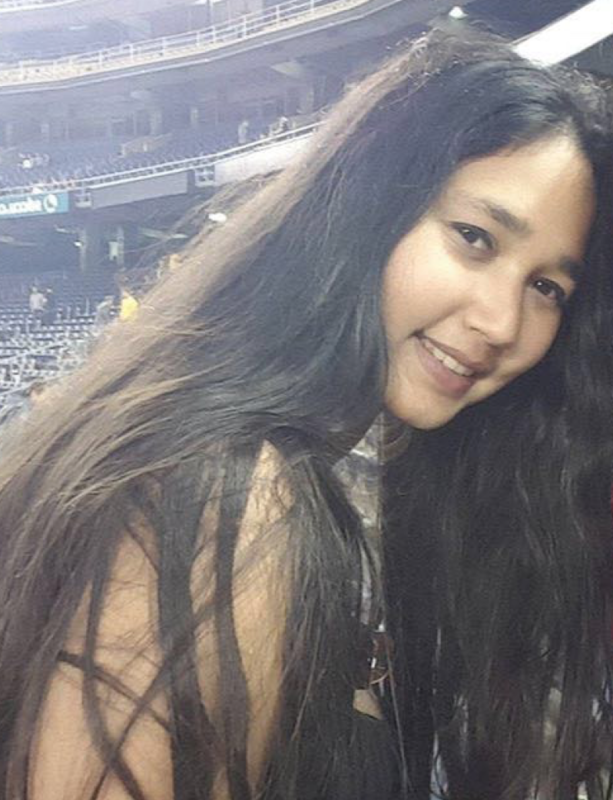 There were so many things I didn’t know about her even though I have lived with her all my life. I loved knowing more about her childhood and her fondest memories. My grandmother was really enthusiastic and she really wanted me to understand her life. Overall, the project was really rewarding both for me and my grandmother because we connected a lot and learnt from each other. Several other students presented their projects and I really enjoyed learning about their EPs. Everyone found this project to be very fulfilling. ​We also had current event presentations and book presentations that day. The discussions we had from those presentations were really good. We also have a lot of assignments coming up. Next week, my group will be presenting the book This Chair Rocks in class. I am in another group which is in charge of planning for the dance at Casa De Mañana which is on February 26. I hope it goes well and the seniors enjoy our company and the event overall. We also talked about our Neighborhood Assessment Projects NAPs. My group will be be visiting Little Italy this weekend and I am really looking to assessing the area. I always go there for the food but never looked at the area from an age-friendly and planning perspective. I look forward to doing so. Lastly, we talked about our individual Healthy Aging Projects (HAPS). I am keen on doing something related to gardening and/or community art. There are several other students interested in these activities so I am quite looking forward to doing our HAPS next quarter. Last Wednesday, we met in class to debrief and plan for our upcoming events. One of the first things we did was talk about our trip to Casa De Mañana. We all agreed that the seniors we met there have had very different life circumstances than the seniors we met at the Gary and Mary West Senior Wellness Center. We identified financial stress as a major factor that accelerates aging. At 90, financially secure seniors can often look younger, happier and healthier than seniors in their 50s and 60s who are struggling. Next, we had our current event presentation. Wayne, Jayson and I presented a Washington Post article on loneliness amongst seniors and how it impacts their health and well being. There were two other very interesting current event presentations as well. ​One of our upcoming assignments is the Neighborhood Assessment Project (NAP). I am looking forward to it because we will be going to Little Italy, which is one of my favorite places in San Diego, and assessing the area based on an age-friendliness checklist provided by the World Health Organization (WHO). We also have to do the planning for a dance in Casa De Mañana as part of our group Healthy Aging Project (HAP). From what I understand, we will mostly be working on the decorations. Casa De Mañana has a lot of resources at their end. Coming Wednesday, I will be presenting my oral history project. My Extraordinary Person (EP) is my grandma. So far, my sessions with her are going well and I feel like I am learning a lot of new things about her. I am not sure what my final memoir is going to look like. If I have enough time, I would like to make a scrap book because I know she would really like one. Next week, I also have to do a book presentation with my group. At this point, it seems like there is a lot to do and I am a bit overwhelmed but I hope to stay on top of things and do well. 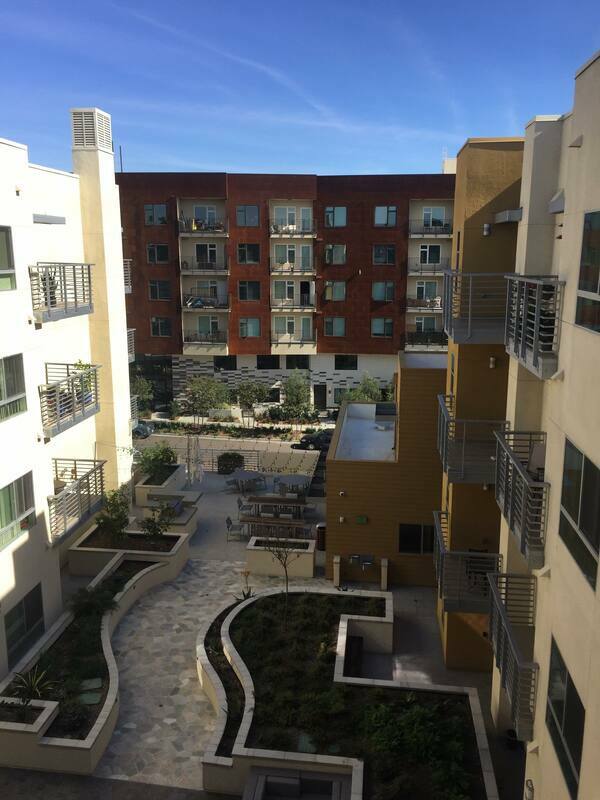 On Saturday, we went to Downtown and North Park for a tour of affordable housing options. Prior to the tour, I had very little knowledge about affordable housing and especially how seniors, who are on the brink of homelessness, struggle with housing. Our first stop was Potiker Family Senior Residence in Downtown. An elderly woman named Irene showed us her unit and talked to us about her experience there. She was very welcoming and positive but her story was heartbreaking. Before coming to Potiker, she had to deal with bedbugs and cockroaches. Next, we visited Sara Francis Hometel which provides transitional housing to seniors. The living spaces there were very small and kind of smelly. They seemed very closed off with no natural light coming in. The hallways were also very narrow. We then visit Celadon which was interesting because it did not look like what one would expect for an affordable housing site. We visited Atmosphere, which also looked very modern. They were both within close proximity to different stores, transportations services etc. We also visited the New Palace Hotel, which consists of single room occupancy housing for seniors. ​Our last stop was North Park Senior Apartments, a first-of-its kind affordable housing development in North Park that provides programs for LGBTQ residents. I was really impressed by its eco-friendly architecture and senior friendliness. They had color coded floors to help seniors with memory problems as well as flashing doorbells to help those with hearing problems. They made sure that every room, stairwell etc. had natural light coming in. One could tell that they really thought about what would be best for their residents’ happiness and wellbeing. Overall, I learned a lot from the field trip. 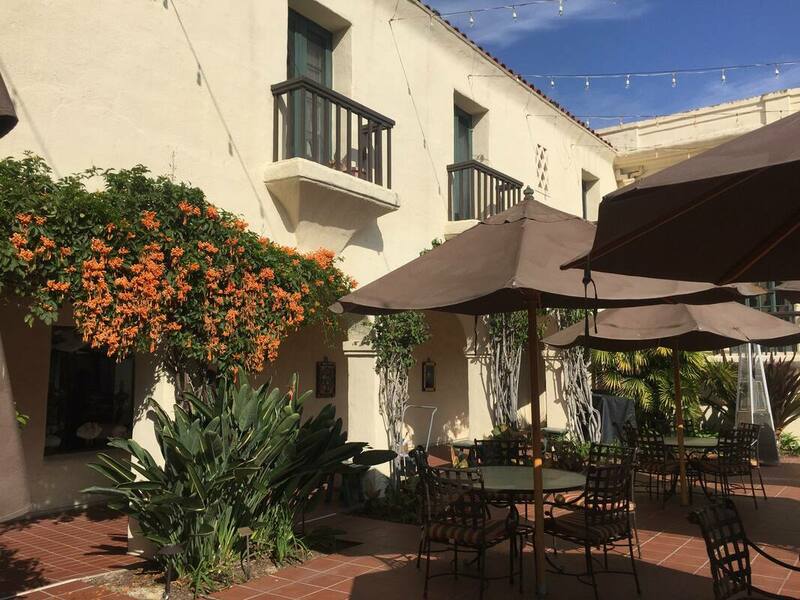 There are several affordable housing options in San Diego such as single room occupancy hotel, studio rooms, small apartments etc. but they are extremely limited. My biggest takeaway is that affordable housing is an escalating concern with long waiting lists and limited availability of housing. 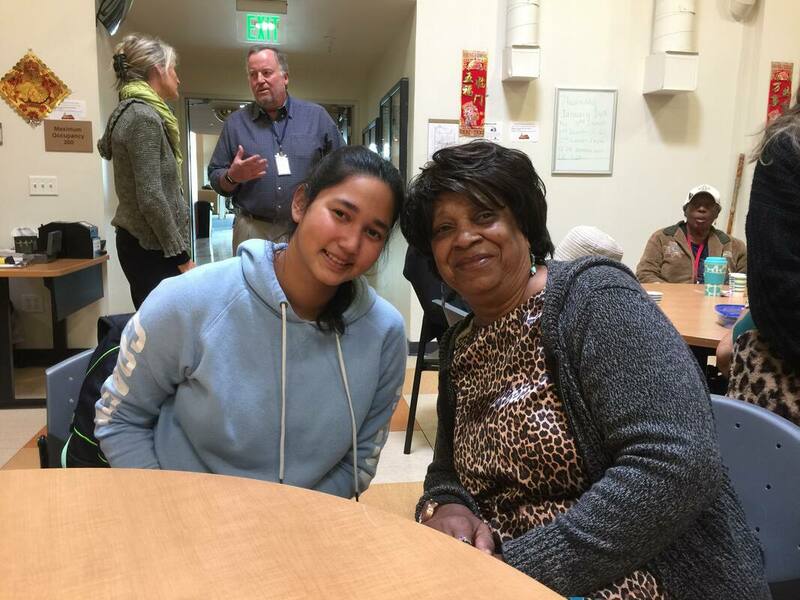 On Wednesday, we headed to the Gary and Mary West Senior Wellness Center in downtown San Diego. We first met up with Paul Downey who talked to us about the origins of Serving Seniors, an organization that aims to help seniors in poverty live healthy and fulfilling lives, and the different programs and services they provide. One of the things he said that struck me the most was how the Federal Poverty Level (FPL) guidelines have not been modified since 1955 and nor does FPL take into account cost of living locally. As a result, there are so many seniors out there who are struggling with severe economic insecurity because they don’t qualify for public assistance as according to FPL, they have enough income to make ends meet. In reality, they really don’t! It is very frustrating to know these things. There are so many things that can be done to improve our seniors’ lives. I was really impressed by the services provided by Serving Seniors. We learned that the Gary and Mary West Senior Wellness Center is the only senior center that provides dental care along with a bunch of services like nutrition, case management and other wellness services. The cool thing was that all the services were located next to each other on a single floor for convenience. The wellness center was overall very well planned. The interior was colorful and bright with natural light coming in through the windows. Another amazing thing is that the senior center also provides breakfast and lunch to seniors all year. We got the chance to interact with some of the seniors in the cafeteria, which looked so bright and happy with wonderful decorations. I really connected with Deborah, who had just started coming to the center that week. She moved to San Diego two years ago from Philadelphia because her daughter wanted her to stay with her. Deborah’s husband had passed away and she had incurred a serious injury. She told me a lot about her cousins and their children. They are settled all over the country from Ohio to Georgia. She was really interested in knowing about my life too. She looked disappointed when she learned that we won’t be coming back to visit until after a few weeks and that made me sad. I look forward to coming back to the center for senior prom. On Wednesday, we went to Bayside Community Center in Linda Vista for intergenerational Zumba. 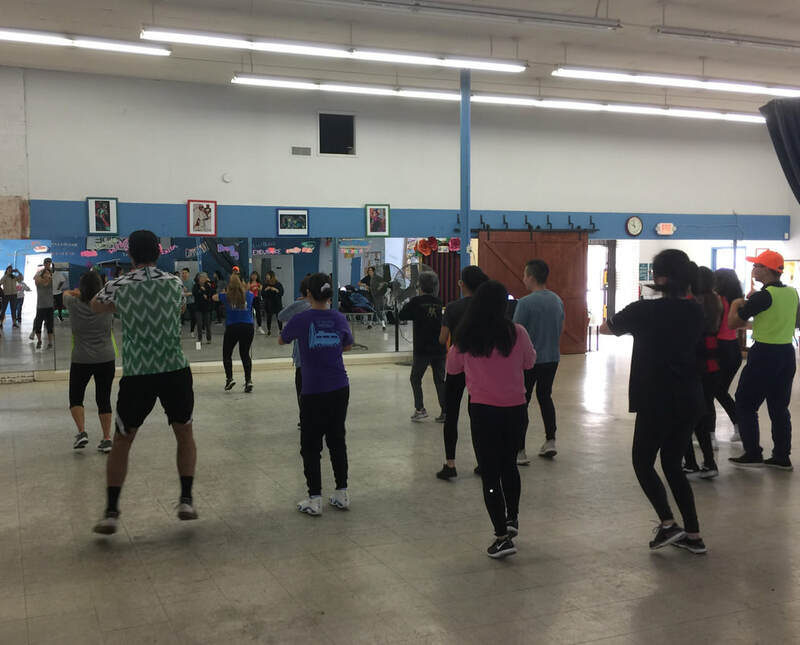 It was such a fun, unique experience because it was not only my first time doing Zumba but also my first time doing a dance/fitness activity with seniors. Previously, I had only done activities like cooking and gardening with seniors, so intergenerational Zumba was something very new to me and I absolutely loved it. Everyone at the center was very welcoming. It was really inspiring to see their energy and enthusiasm for Zumba. They were all so happy and they were killing it! One of the things I really appreciated was that our Zumba instructor made us do some routines that required partners. In those moments, I felt really connected to the seniors and my classmates. Movement is so essential for our wellbeing and taking care of ourselves becomes so much easier when we have support. An activity like Zumba, which combines movement and music, can really bring people from different age groups together and enable them to enjoy and appreciate each other’s company and also learn from each other. As an intergenerational activity, Zumba can help bring about tangible social, mental and physical health benefits for all. It’s also fun way to de-stress. After our Zumba class, we got some time to talk to the seniors. It was so nice to hear their stories and they were really interested to know about our lives. I was sad that our day ended so soon but I am looking forward to going back to Bayside Community Center for our potluck!